Here is a great idea for a cocktail party or to serve as an appetizer, next time your in-laws come over….they can sample several different varieties of cheese. 1. Cover a large cutting board with aluminum foil. 2. 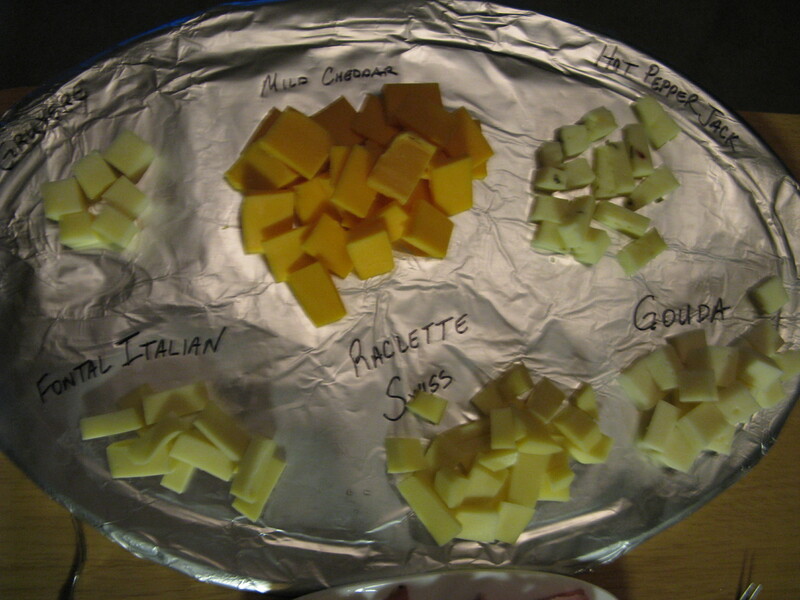 Cut up the varietals of cheese in bite size portions. 3. Strategically place the cheese on the cutting board and label each using a sharpie. I served our platter with crackers and some bit size portions of smoked sausage. The Easiest Chicken Cheese Ball Ever! loved your cheese tray but you misspelled varieties.